Posted August 2nd, 2016 & filed under News releases. Many startup entrepreneurs believe that China, with its huge population, is the perfect place for them to find a market to conquer. The folks at Uber also thought China was a market of limitless possibility. In fact, the ride-sharing company had problems breaking in to the market there. On August 1, 2016, they announced that they would be selling their operations in China to their primary competitor: Didi. Uber entered a market with popular taxi-sharing applications applications already in place. They had to undercut competitors to gain traction. To do this, they offered subsidies to drivers. Drivers often gave rides to friends and family to take advantage of the subsidies. What will Uber do now that, China, their largest predicted growth market is no longer theirs? We’ll be watching and learning. That’s for sure. Do you want to learn more about conquering markets? Climatelaunchpad has been training early stage cleantech startups all over Europe. Our training team includes a number of entrepreneurs and educators who have first-hand knowledge of what it takes to build a successful startup business. We’ve created a training program to share that knowledge with early stage entrepreneurial teams. 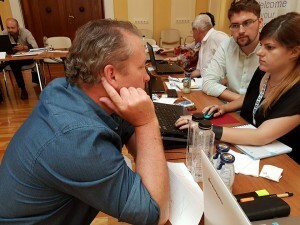 We’d love to share the training handbook Climatelaunchpad uses in its 2-day bootcamps. If you want more, sign up for our newsletter, and we’ll send you a download link to the handbook. Do you sometimes find yourself wondering what you can do to address climate change? 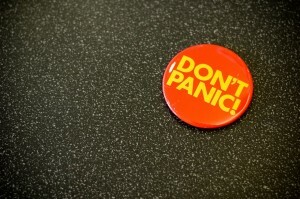 Out first piece of advice is Don't Panic. At ClimateLaunchpad, our motto is Keep Calm and Tackle Climate Change. This post gives you 4 things you can do to reduce your carbon footprint and make a difference in the world.